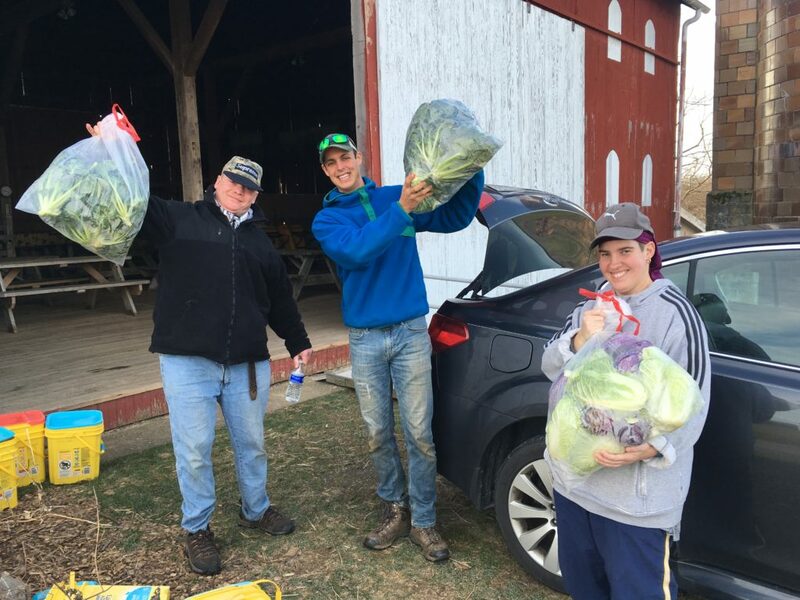 What do we do on the farm in the late fall and winter? Take a quick photo tour and see what we've been up to. The days are darker and temperatures are dropping, but the Red Wiggler team is still harvesting some late arrivals before the snow covers the fields this winter. Our crew delivers to area food banks and group home agencies in order to make healthy food accessible to families and individuals in need. What are we growing in 2019? 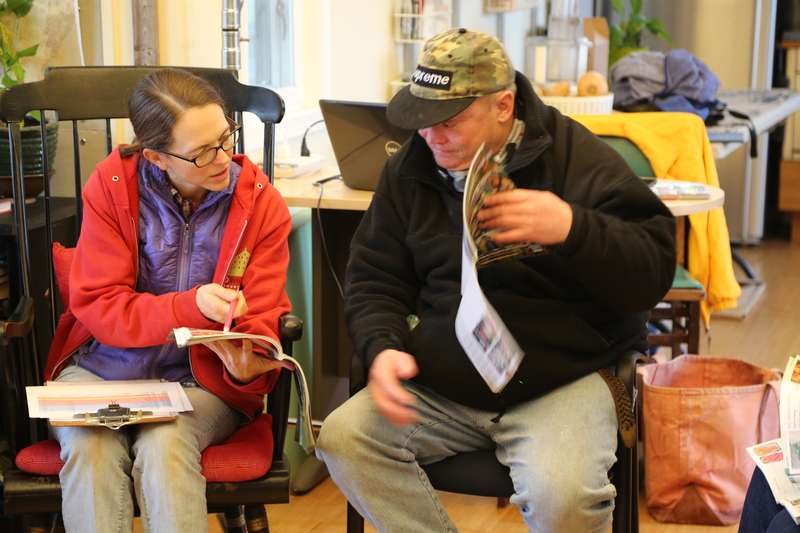 The team pours over seed catalogues, and reviews last year's varieties, yields, and customer feedback. 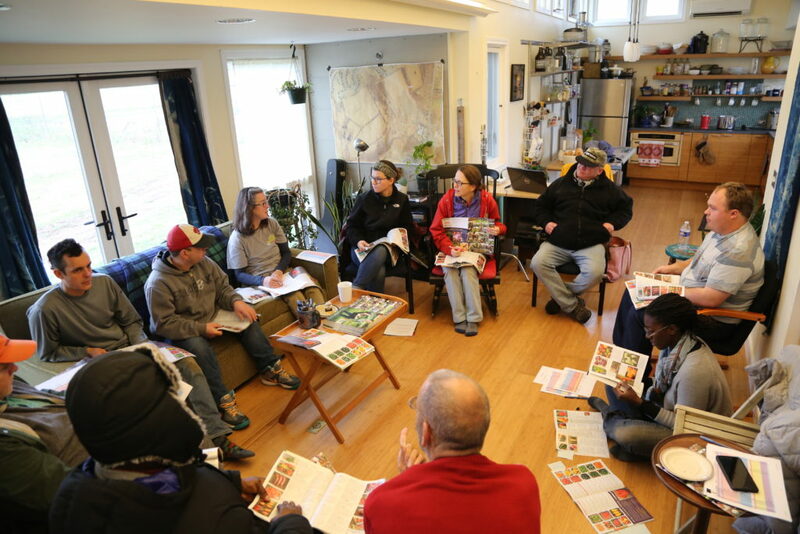 The annual seed order is an opportunity for everyone to participate in the planning process. Interested in receiving produce as a part of our CSA program. Visit our information page for details. The barn gets a break too. 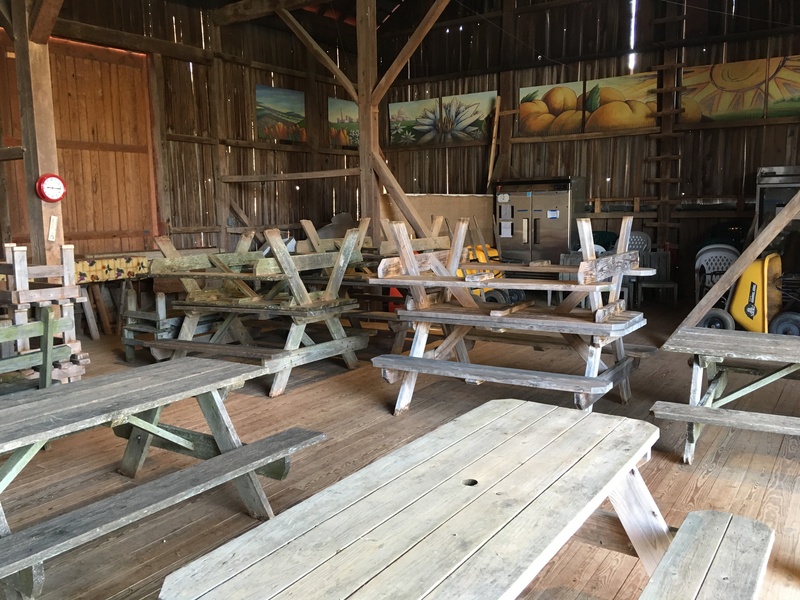 Normally home to our market style CSA, this historic barn transforms into winter storage for weather sensitive tools and equipment. A little indoor work is always nice on a cold day. 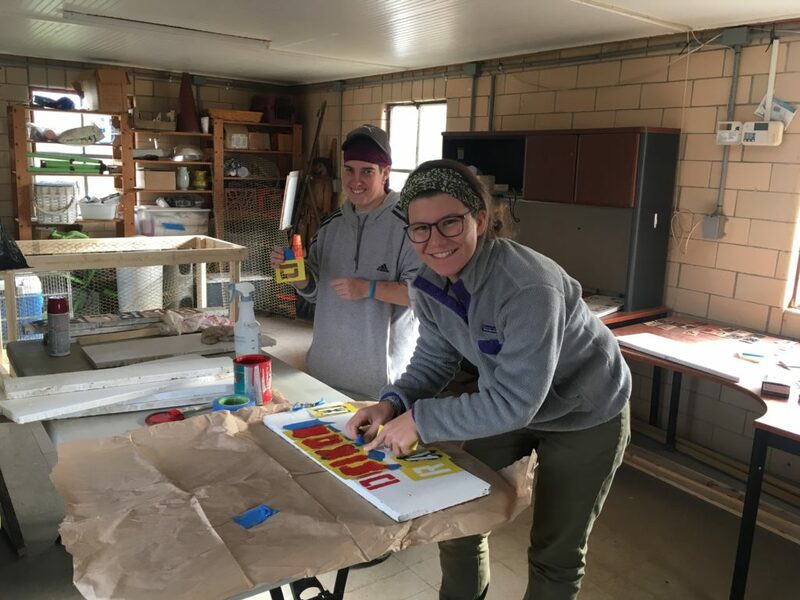 Ashley and Sam paint cover crop signs for our fields at rest. 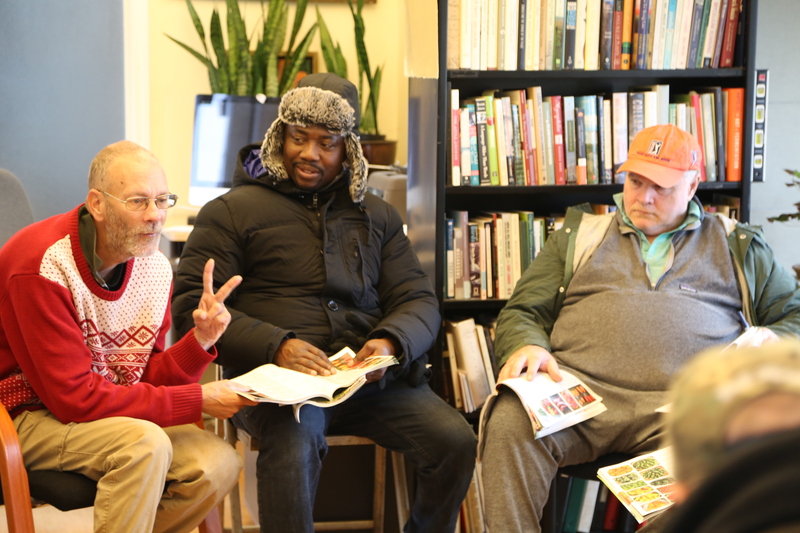 In the spring, volunteers and tour groups will learn all about cover crops and other sustainable farming practices. Interesting in visiting or volunteering contact us for more information. Even the bees are taking a holiday. As soon as the temperature drops below 50-55° Fahrenheit worker bees switch their focus to keeping the queen warm. They form a huddle in the center of the hive and vibrate their flight muscles. 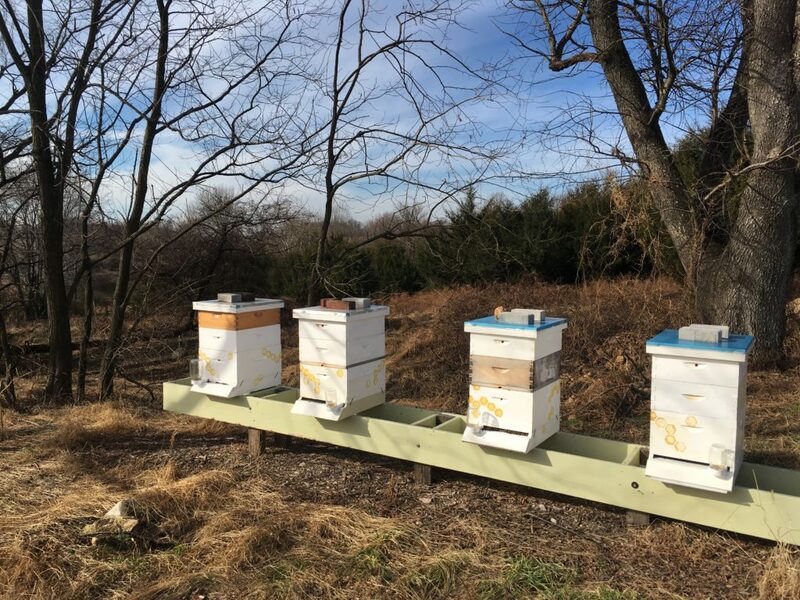 This winter cluster regulates the hive temperature. Click here to learn more about bees in winter.